How to Watch iTunes Videos on Huawei Honor 6 ? 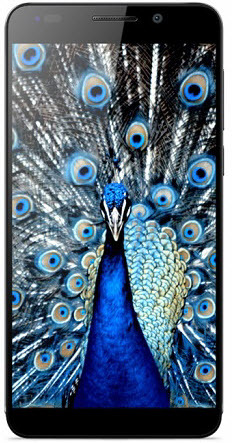 Huawei Honor 6 is a popular smartphone made by Chinese Manufacturer Huawei. It earns a public reputation for its cheap price with a high-end tech. Cheap Price, hundreds of pounds less than iPhone 6, Galaxy and HTC One M8. 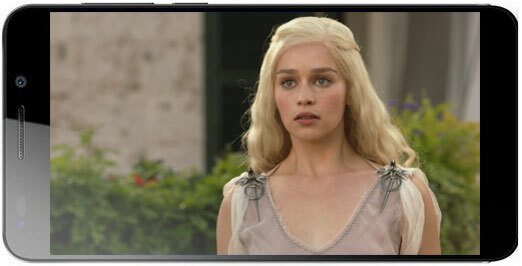 Crisp 5-inch screen with a Full HD resolution of 1920 x 1080 pixel for videos, photos and so on. Very impressive Fast Speed with an octa-core processor, made up of two quad-core chips clocked at 1.3GHz and 1.7GHz respectively, backed up by 3GB of RAM. Removable battery, seldom available for other smartphones. App tray no longer exists with all downloaded apps kept on the homescreens. Overall, the lower price, high resolution and fast processor of Huawei Honor 6 makes other weakness of it tolerable. That is why many people go and buy this phone. Since Huawei Honor 6 possesses such a big screen and high resolution, how to make use of them is a question. Playing high definition videos like iTunes videos on Huawei Honor 6 is among one of the best way. However, iTunes videos are protected by FairPlay DRM and cannot be copied to anywhere we want, including Huawei Honor 6, a non-Apple devices unless we have a DRM Removal software that can remove DRM from iTunes videos. 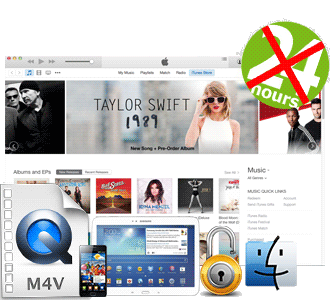 M4VGear DRM Media Converter is a DRM Removal software that works exclusively for iTunes Videos. It can remove DRM from iTunes videos and convert them to unprotected MP4 videos for transferring to Huawei Honor 6 for Playback. Both Windows and Mac version of the program is available for downloading. Work on both iTunes purchased and rented videos. Keep iTunes rentals forever. Convert at a 20X faster speed. Keep all multi-lingual subtitles and 5.1 audio track. Maintain original video and audio quality. The Mac version supports OS X Yosemite and iTunes 12. The Windows version supports Windows XP, Vista, 7, 8 (32-bit & 64-bit). First of all, downloading the program according to your operating system is necessary. Downloading will not be charged and a free 5-minute trial is offered with the downloading and installing. If you want to remove DRM from iTunes videos without time limitation, click Here to purchase the full version of M4VGear. Then, operate on the interface of M4VGear to find "Add" button on the upper left and import iTunes videos from iTunes library to the panel for converting. Next, Select output format from the button on the lower right corner. When you set output format as "Lossless MP4", the iTunes videos can be converted at 20 faster speed with AC3 Dolby 5.1 surround, closed captioning (CC) kept. After that, click the output format button and once for all. The batch videos on the panel will be converted one by one automatically until all has been finished. Finally, find the output videos in the set output folder and copied them to Huawei Honor 6 for playback via USB. Note: The trial version of M4VGear only converts five minutes of iTunes movie for free. If you want to convert the full movie with M4VGear, you need to purchase it. M4VGear now can be purchased at limited-time price $44.95 from original $49.95.